Snowshoeing is like walking with enormous shoes. Anyone can learn and it's a great activity for non-skiers and families. There are a number of places to go snowshoeing in Jackson. 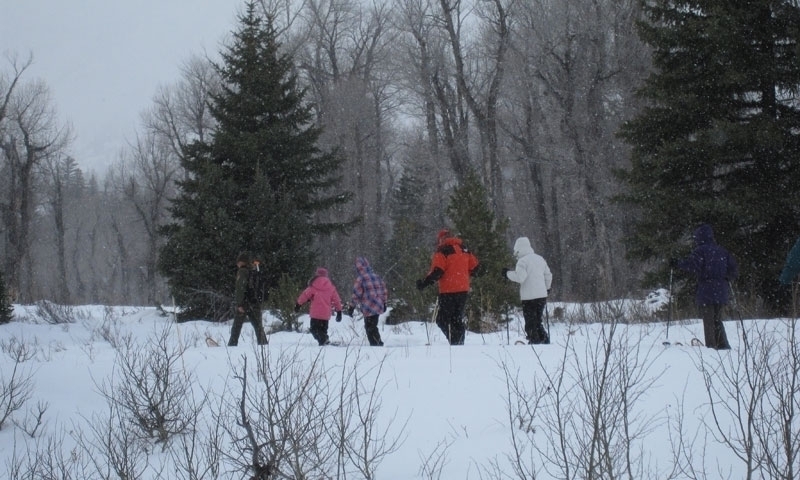 Naturalist-guided snowshoe tours of Grand Teton National Park or the surrounding National Forest. Snowshoe rental, snacks, bottled water & transportation included. 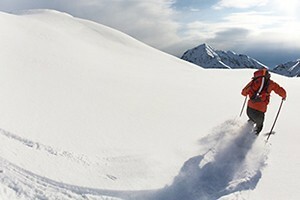 Where can I go snowshoeing in Jackson Hole? 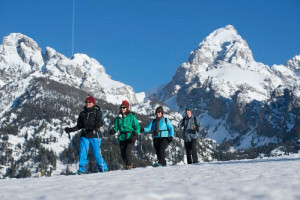 Grand Teton National Park offers a ranger-led snowshoe walk daily at 1:30pm. Meet at the Craig Thomas Discovery Center. $5 donation. Give them a call at (307) 739-3300 with questions. If you don't want to join the ranger hike, you can go out on your own. Head to the Taggart Lake Trailhead and pick a route. You can stay on the groomed track to Jenny Lake or venture off into the fresh snow towards Taggart and Bradley Lakes. Stop by the Craig Thomas Visitor Center first and ask for a map and trail suggestions. You can take snowshoes pretty much anywhere to can take cross country skis. Take a look at these Cross Country Ski Trails. 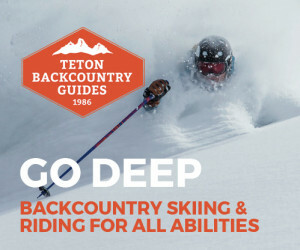 While Teton Pass is known as a backcountry skiing destination, it also offers fantastic terrain for snowshoeing. Park at the top and head south along the forest service road. Follow the ridge out and back and please don't walk in the ski tracks. Where can I find snowshoe rentals? 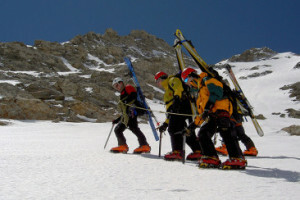 A number of gear stores in town offer snowshoe rentals. The Central Idaho Recreation Coalition is an organization dedicted to restricting off road vehicle use in recreation areas and promoting use of human powered equipment and recreation.